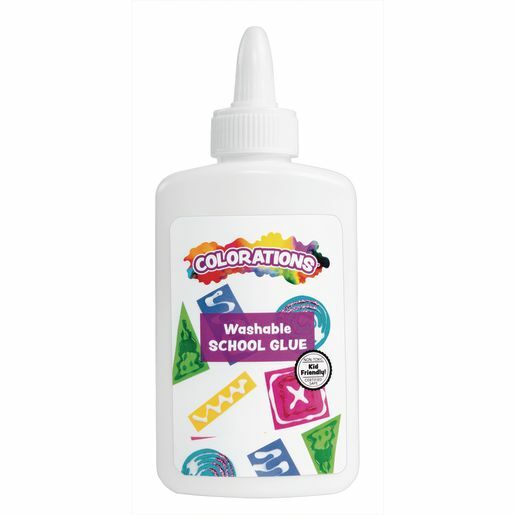 Colorations® Washable School Glue, 4 oz. Our special brand of white school glue adheres to paper, wood, fabric, and other porous and semi-porous surfaces. It is completely non-toxic and easily washes off skin, most clothing, and other surfaces with soap and water.